We have one rule at WoodUp: every day, for lunch, everyone must gather at a large table in our workshop and eat together. Around 12:30 two of us start preparing the ingredients. Although we don’t have a fixed schedule for kitchen duty, we rotate so it’s not everyday the same person cooking. Whoever feels inspired and has an idea for lunch, jumps in and takes the lead for the day. Soon enough, mostly attracted by the delicious smell, others will come along to help with the cooking or to start setting the table. At WoodUp, we cherish shared moments at the table! Lunch is when everybody relaxes and laughs. Certainly, lunch breaks turn sometimes into brainstorming sessions where ideas and imagination flow. Not even a delicious pasta all’amatricianacana can keep our designers from having the brightest idea for our next product! 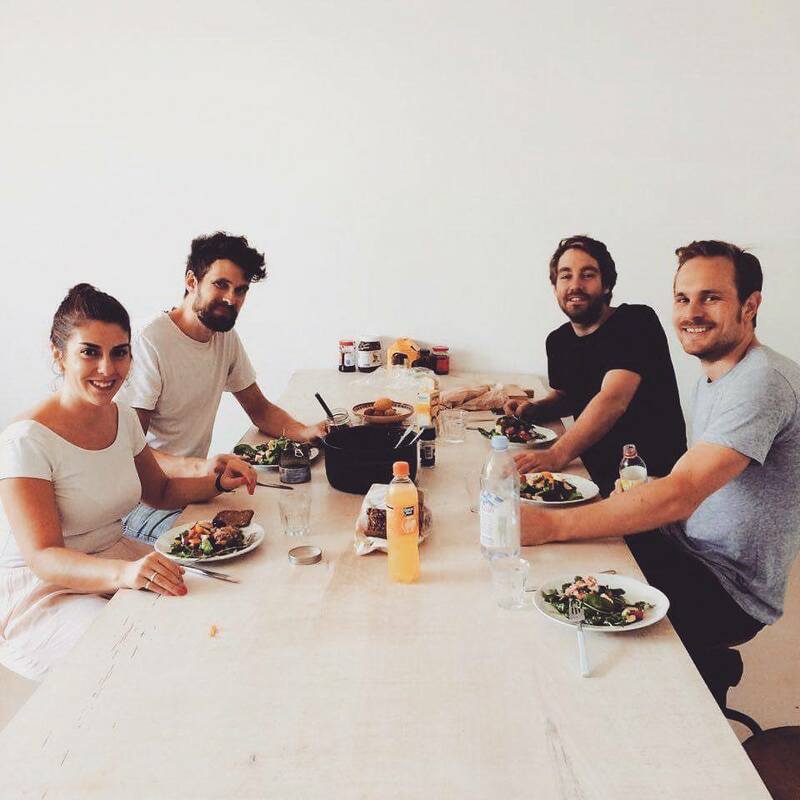 Even when a city like Berlin has a huge variety of tasty affordable restaurants to offer, we believe that collective cooking and eating can enhance creativity and strengthen bonds within the team. We see shared funny moments at the communal table as the most productive ones. Our different and busy schedules make meetings relatively difficult to plan so our daily traditional meals are great opportunities for everyone to gather in the same room. No matter how good –or bad- your cooking skills might be, what matters most at Wood Up is definitely the time spent together at the table. 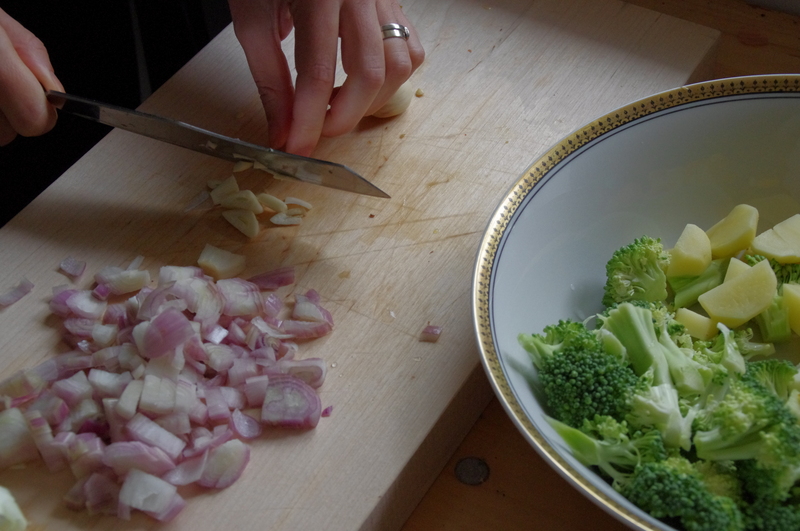 After all, we manufacture handmade products, why wouldn’t we use our hands to cook delicious meals?